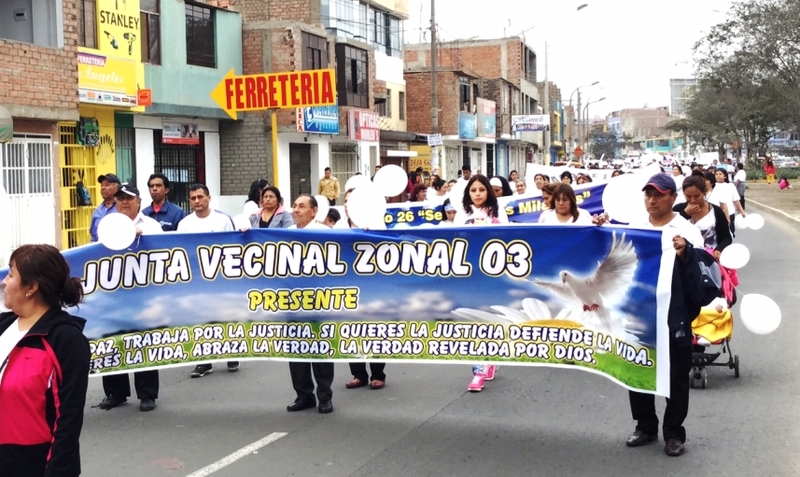 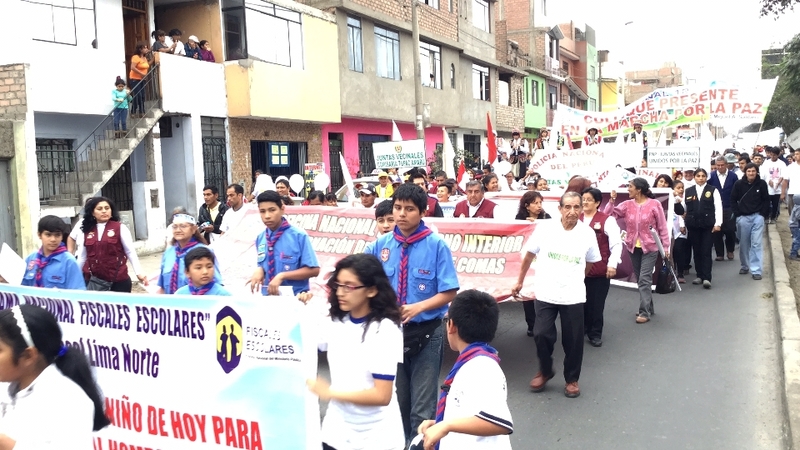 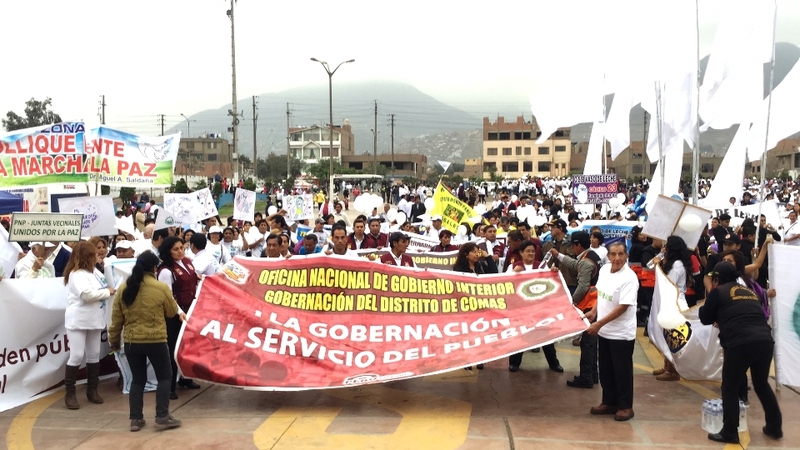 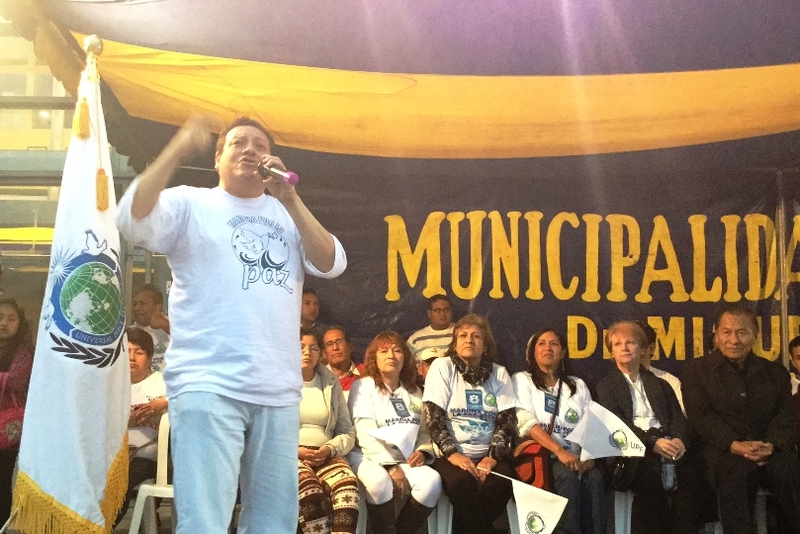 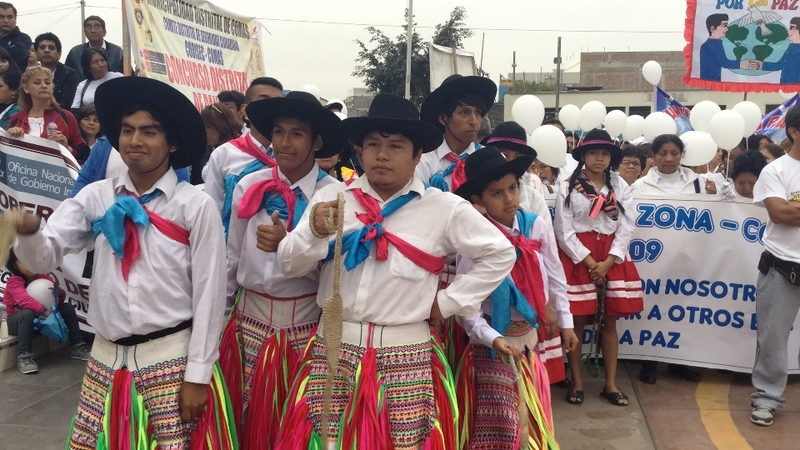 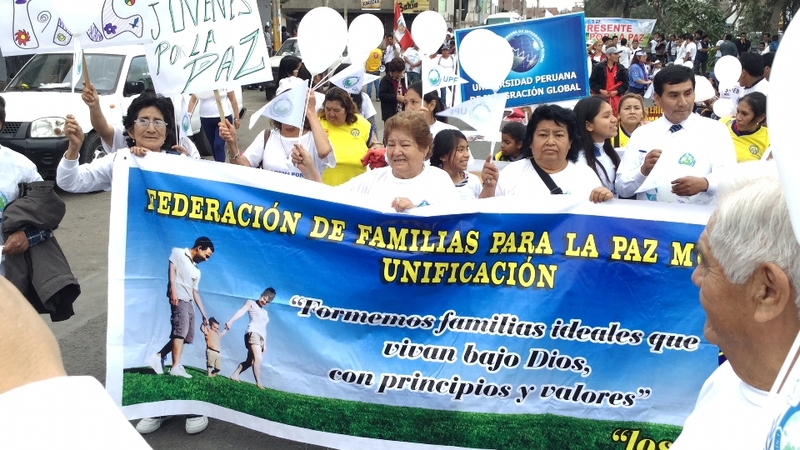 UPF Peru, Dr. Trevor Edward Jones: On September 27, 2015 we held our final march for peace in Comas, district of Lima, Peru. 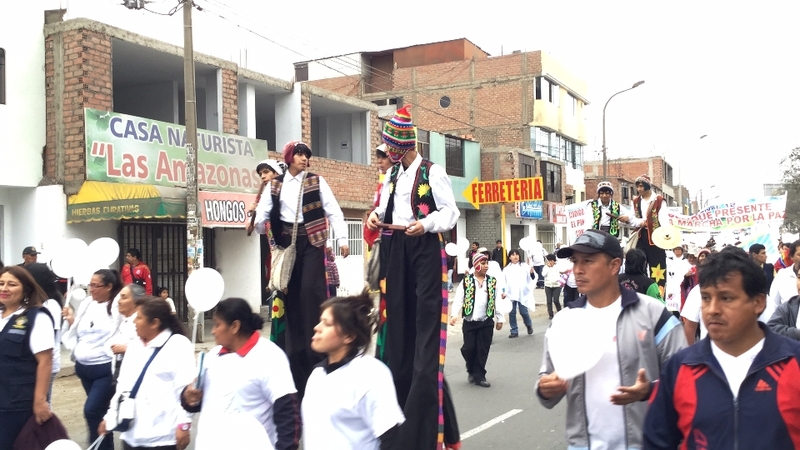 Ambassadors for Peace had been working with the mayor and his staff for many weeks on this project. 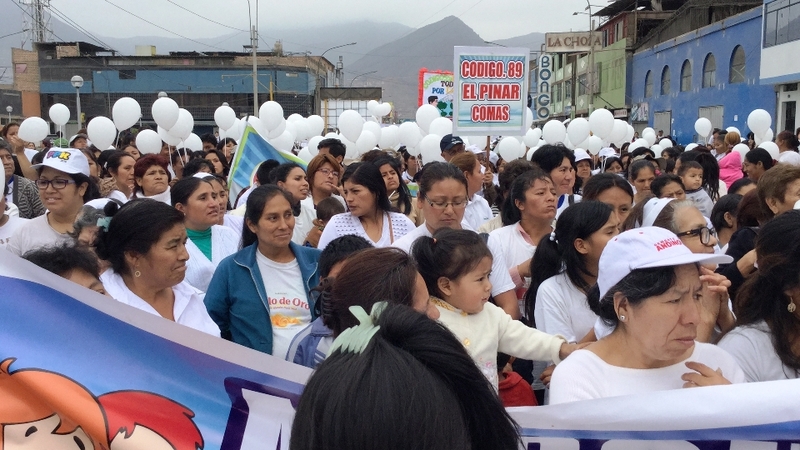 The local press reported that 11, 000 people took part in the march, representatives from many ONGs, local communities. 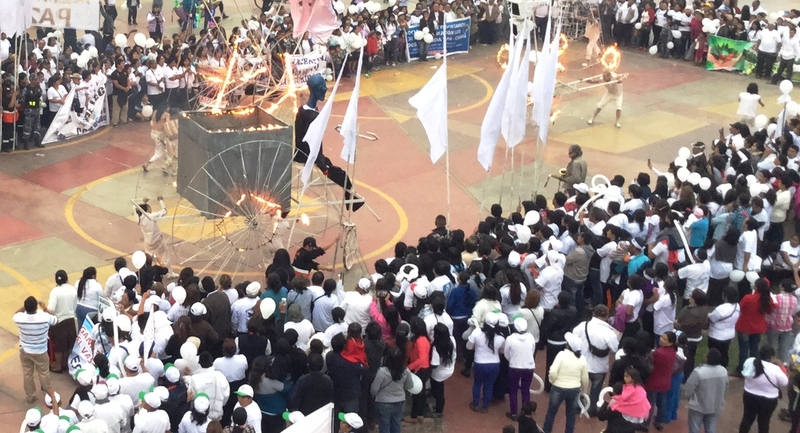 artistic groups and schools.